Also known as sashes, sash windows give residential properties a truly classic look. In fact, these are also among some of the most efficient and stylish elements that can be added to buildings. Best of all, they can literally last for centuries. This last is only true, however, if they are diligently well-maintained. Following are several reasons why you should invest in the services for sash window repairs London companies are offering. While it might seem pretty unbelievable to have well-made windows last for hundreds of years, London locals only need to take a trip to the historic Ham House in order to see that this is true. This popular and eye-catching property is adorned with sashes that are over 300 years old. These structures are a testament to the lasting effectiveness of diligent property maintenance, skillful restorations, and timely repairs. Without these things, windows of any type are not guaranteed to last at all. As it stands, however, most sash manufacturers are willing to stand behind their work for a period of up to 50 years. This is a whole lot more than you can expect when having vinyl or aluminum products installed. When these structures are not properly maintained, homeowners can start to experience problems with wood rot. This is also an open invitation for countless pests. Regularly painting or resealing the wood frames on these structures is essential for safeguarding them from the elements and from insects that might like to burrow into them. It is vital to note that despite these vulnerabilities, these options are not just appealing to consumers for their stylishness. They are also highly efficient. This is due to the fact that wood is a very poor conductor of heat and thus, a great natural insulator. Even the very way in which sashes work make them effective for conserving energy. With these windows, you can become far less reliant upon your indoor heating and cooling system. During the winter months, quality wood frames and windows that have been draught-proofed will help keep more warm air indoors. This way, you can limit the demands that you’re placing on your heating equipment while the temperatures remain seasonably low. During the spring and summer months, sashes are the perfect for creating a cooling, indoor breeze. Even cracking them a small amount can generate a cross draft that will make artificial cooling unnecessary on most days. When it comes to maintaining a good indoor air quality, this manner of cooling the home down is far preferable to using a closed, air conditioning system. Stale, stagnant air can flow out and fresh, clean outdoor air can flow in. There are a number of minor repairs that homeowners may be capable of making on their own. For instance, if your sashes are sticking, this could be due to a build-up of paint that can be easily moved with a gentle washing. The best solution for these efforts is a mild, sugar soap that will break the excess paint down. Once the work is done, the sashes should slide open and closed very easily. To avoid this problem in the first place, it is generally best to have the wood on your sashes treated, stained and painted by professionals. 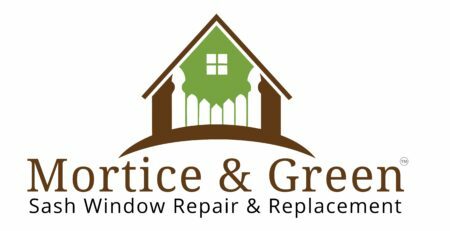 They will take care to ensure that overspill does not occur and that your windows continue to function exactly as they should, once the treatment is finished. Another common issue among sash windows, especially those that are slightly more dated, are broken sash cords. These systems function via a strategic combination of lead weights and cords. If a cord breaks on one side of the window, the entire sash will be compromised given that the cord on the other side will have to work far harder. Given just how heavy these units are, ignoring a problem like this one can be very dangerous. Once the second cord breaks, the heavy window could simply come crashing down given that it will no longer have the necessary tension for remaining in a fixed, open position. Sashes are a wonderful investment for your home, but you have to be ready to properly maintain them. This means reporting problems in a timely fashion so that a reputable service can resolve them before they have the chance to spiral out of control. It also means having these structures inspected, painted and stained on a routine basis. 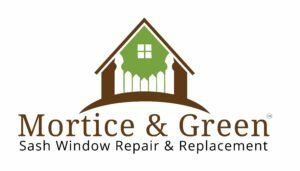 This way, you can get optimum value and benefits from window structures that are truly built to last. Is It Possible To Find A Genuine Company That Claims We Repair Any Sash Window?